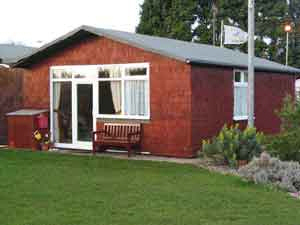 This holiday chalet is situated within the South Shore Holiday Village on the south side of Bridlington Bay. The chalet is ideally situated for the beach, which is just 100 yards away. The accommodation provides a lounge/diner with colour TV and video player, sofa, armchair, electric fire and dining table. There is a separate well equipped kitchen, complete with washing machine. There is also a separate toilet/shower room fitted with electric shower. There are two double bedrooms, each with their own hand wash basin, and a bunk bed room. Heating and electric costs are paid via a £1-00 coin operated meter. There are also sailing facilities nearby including the Belvedere Yachting Compound with launch pad, which can be reached from the chalet by walking through a big field. 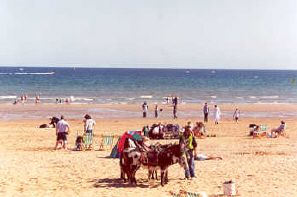 Bridlington town centre is just 8 minutes away by car. There is also a bus into town.